Want to make the world a better place? You may want to rethink your relationship with money. Did you, like me, grow up thinking that money doesn’t make you happy and that there are much more important things in life? Were you raised with the idea that money is dirty, and something to avoid? That striving for it might make you a bad person? The result of such an upbringing – and way of thinking – may be that you are a nice and caring person, with less money than you could have had. And, that’s a pity, because you could have used that money to do good. I’ve come to realize that it’s not just greedy people that may have a problematic relationship with money, but also people who I will call “do-gooders” (with all due respect, and for want of a better word). While the greedy people may live with the idea that money is the most wonderful thing in the world and want as much of it as they can get, the do-gooders will often avoid it as much as they can, believing it is a bad thing. They will see being rich as a vice and being relatively poor as a virtue (I know, this dichotomy of greedy bastards versus do-gooders is a bit too simplistic, but let’s keep it for the sake of the argument). At this point you may already be pulling up your nose, slightly disgusted at the fact that on this “non-profit” blog, I’m writing about making – or at least not shunning – money. This almost sounds like the text of a would-be financial guru who is telling you it’s your right to get rich, right? But, you having that feeling would exactly prove my point. Let me try to put you a bit at ease. First of all, I’m not talking about getting super wealthy here (more about what I mean later). Neither am I talking about making more money for your own sake (though I wouldn’t condemn that). Rather, I suggest that we learn to appreciate the value of money for the good things we can do with it. And no, I don’t believe donations or philanthro-capitalism will solve all the problems in the world, and I do think we need more systemic solutions. I believe there are quite a few problems with how a lot of money is made, the role it has in our society and the way people go after it. And, I believe that unbridled capitalism suffers from a lot of shortcomings. 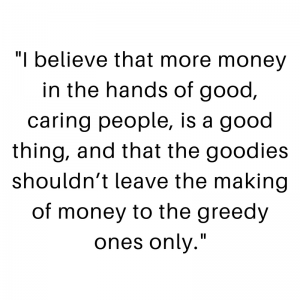 But, I also believe that more money in the hands of good, caring people is a good thing, and that the do-goodies shouldn’t leave the making of money to the greedy ones. Because telling people in social movements that they might want to care more about money will, in the eyes of some, unavoidably make me look un-virtuous, let me add that my own twenty-year career as an animal rights advocate has been largely unpaid or for very small financial returns. I had the ability to do that, because my girlfriend owns the house we live in (thanks to her grandparents); so, we don’t have to pay rent, and we rent out part of it through AirBnb, which provides a bit of extra income. The fact, however, that I can do my activism unpaid doesn’t mean that I am against people making money from activism. If one can earn one’s keep doing something good, and, thus, have more time to do it, what would be the problem with that? 20.000 euros down the drain? Back to where we were. 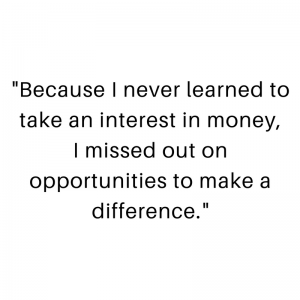 This is what I realized: because I never learned to take an interest in money, I missed out on opportunities to make a difference. My parents are quite ethical people who care about making the world a better place. But, in not teaching me to sufficiently value money and in giving me the impression I should shun it, they may have inadvertently reduced my chances of doing good. Let me illustrate this more concretely. I remember at one point – about twenty years ago – having about ten thousand euros in my bank account (back then it was in a different currency, but never mind that). Suppose I had had no need to touch that amount since then, and that it had just been sitting in my savings account. The average interest on a savings account in the past twenty years in Belgium has been about two percent. At that rate, after twenty years, that capital would have grown to about 14.500 €. If I had invested the initial 10.000 € in something (stocks or bonds, for instance) that would have offered me a higher interest rate (say a reasonable and realistic seven percent), my capital would have increased to about 36.000 €. That is a difference of more than 20.000 €. And, that’s just on this small initial sum. Note that present day interest is usually less than one percent, while inflation rates are at two percent; so, your money is quickly losing its value in a regular savings account. Einstein called compound interest the eighth wonder of the world. The problem was that I had no financial knowledge at all, and wasn’t motivated or stimulated to learn about it. 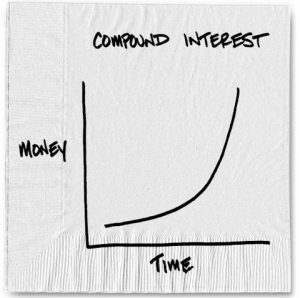 Einstein famously called compound interest the eighth miracle of the world (check this page to learn a bit more), but I only really realized how it works this year, at age 44. It’s also only now that I realize a lot of the things we think about investing are incorrect clichés, and that when done properly and wisely, investing is not as risky as most people think it is. In fact, one line I read again and again is that we can’t afford not to invest. Maybe I’m particularly late and slow, but there must be many more people – do-gooders especially – like me (my guess is the “money = evil” attitude is more prevalent in Europe than in the US and other parts of the world). If today, you are still convinced that money is dirty and evil and you don’t want any of it, your reaction might be: 1. so what? and 2. investing like that is unethical anyway. I’ll respond briefly to these arguments, but I am under no illusion that I will convince the most anti-capitalist among readers. So be it. – You could donate it to a non-profit. – You could invest it in a sustainable or compassionate startup. – You could even live on it yourself for a year or a couple of years (depending where you live), so that you don’t have to have some run of the mill paid job and have more time to volunteer. – You could start your own project with it. I think it’s clear that you are better off having this money than not having it. Unless of course, having made that money by investing would somehow be necessarily unethical (which is the second objection). There obviously are many unethical ways to make money. You can uncritically invest in stocks or funds where your money is used for bad things. But, that is not necessarily so, and many banks today offer sustainable investment options. These may not be entirely satisfactory to all of us, but it is possible to find ways to invest that are healthy and sound, or at least neutral. Moreover, apart from increasing your own returns, you also help these companies grow by helping them to raise capital. And, if you want, as a shareholder you can even participate and vote at their annual general meeting and help determine the course of the company. Some would argue that by participating in the stock market, one is contributing to a system that is fundamentally flawed and problematic. But, then, so is putting your money in a savings account – because that too is a way of investing in and contributing to systems you may fault – and with even less control, at that! Probably many of us have simplistic ideas about capitalism. This talk by Jonathan Haidt does a good job at illustrating that. Let’s look at some other objections to making money – all of which I held at some point, or still partly hold. I don’t think there is any law of nature that dictates that money corrupts. It may also be that people who are greedy to begin with are the ones to acquire a lot of money, rather than the other way around. In any case, in this post, I’m not at all talking about the ruthless accumulation of wealth through all means possible. I’m simply talking about taking *some* interest in money and investing it in an ethical way, so that we have more means at our disposal to do good. Also, don’t forget about people who got really rich and because of that are returning a lot of their wealth to society and are investing it, for instance, in the animal rights movement or any other movement. Our movement is actually to a large extent funded by people who made a lot of money (hopefully in the nicest ways possible) and are donating it to a cause they care about. Some people – often those who are interested in spirituality – would hold that money is not what makes the world go round and that it is actually irrelevant. It’s not about what you have, but what you are, etc. I’d say: try to tell that to poor people. Probably only those who are privileged enough can say things like this (even though there might be some grains of truth in these opinions here and there). As long as we’re not enlightened and don’t have the means to freely provide each other with whatever we need, money is a convenient way to exchange goods and services. At the same time, I think it’s a pretty primitive one, and I can imagine societies and worlds in which we’re no longer using it. Too many things are determined by how much money we have, and shouldn’t be. Here’s a simple example: for a person with little money, it is much more difficult to ride a train in first class. Yet, she may have a higher need for it: she may need to focus, have concentration problems, suffer from panic attacks and have more need for quiet, or whatever. The fact that her level of wealth determines how she can travel does not seem optimal at all. If I would have children (I don’t and won’t), I would try to teach them that money is not an end in itself, but that as a means to great ends, it can be extremely helpful. I would make sure they don’t grow up thinking that money, and making it, is bad or evil or corrupting. I would try to raise them with a desire to become people with integrity, who also value money for the good they can do with it. I would teach them some financial literacy, and warn them to not under- or over-estimate the risks involved in investing. 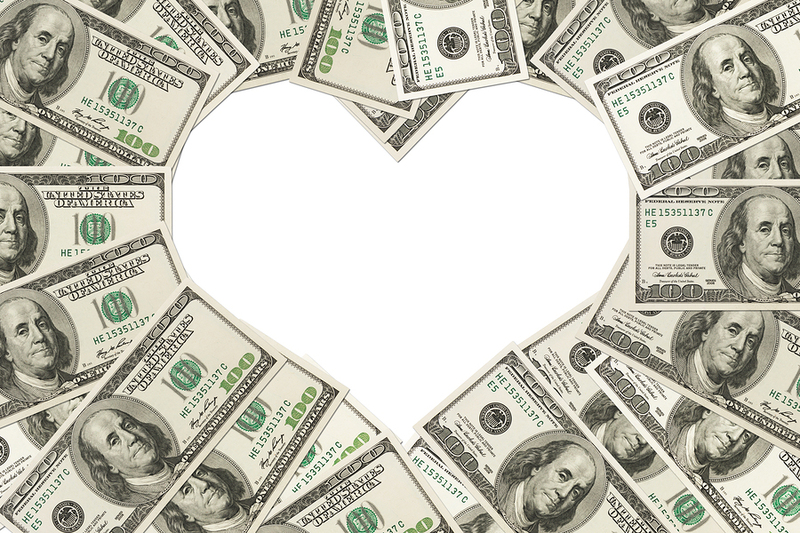 Many do-gooders too might want to slightly rethink their relationship with money. It would be good if movements of do-gooders told their members and activists something about the importance of money. If young people start to invest wisely and sustainably at the age of say 22, after graduation, they can build up capital that can make an incredible difference in the world. I haven’t looked at any numbers, and don’t know if any are available, but my suspicion is that many activists, across movements, are people who are not exactly well off. What if we were better off, and had more means to spend on our movement and our own happiness? What if we didn’t leave the making of money to the greedy people only. Money, though often abused, or considered an end, is nothing more than a tool. It’s a tool just like marketing is a tool. We can choose to abstain from using these tools, and leave the using of them in the hands of people who will often be likely to abuse them, or we can wield them ourselves and do some good with it. PS: want to get more information on investing? The websites are endless, but I found this podcast really good. < Previous Thinking about disrupting meat eaters at a restaurant? Read this first. This is more complicated than a simple change in attitude, it touches on various socio-economic factors. How you understand money management, how much you make, etc largely hinge on the socioeconomic status of your parents and its not easy to pick up all this knowledge and shift in attitude as an adult. As if greed is a common trait of people with higher percentiles of wealth. If greed was sufficient to make good deals of money there would be a lot more wealthy people in the world. The real issue here is that veganism isn’t well regarded by higher socioeconomic groups and is often viewed as being plebeian in nature. Veganism not well regarded by higher socio-economic groups? I have no data on this, but generally, I hear people making the assumption that vegetarianism and veganism is a thing of the higher middle class. frederik, that’s true too. I guess i’m talking more about activists – people who put a lot of their resources into the vegan cause. They still might be better off of course than the general population, but my feeling is most of them would do better to care a little bit more about the impact they can have with money. That is just my overall impression, for example, try discussing veganism with professors, doctors, executives, etc and see how far you get. 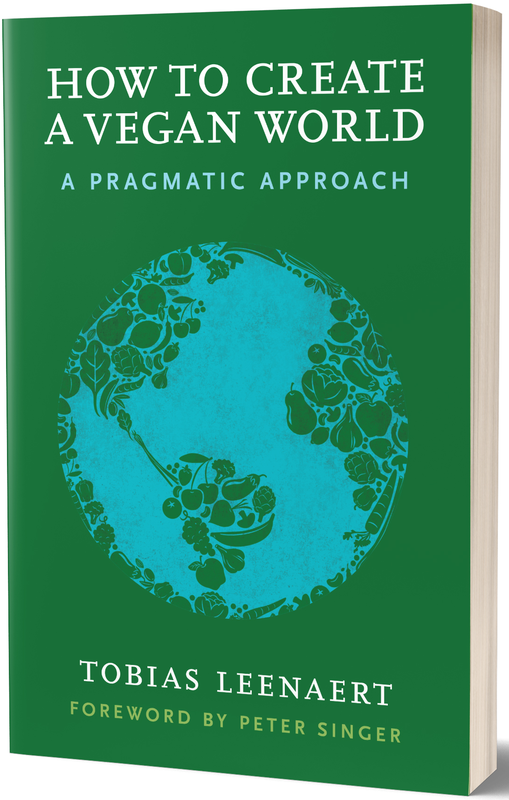 Also the tactics used by vegans tend to target middle and lower socioeconomic groups. You do hear people suggest vegan diets require an amount to privilege, but being working-class or middle-class in a developed nation is a privileged position.